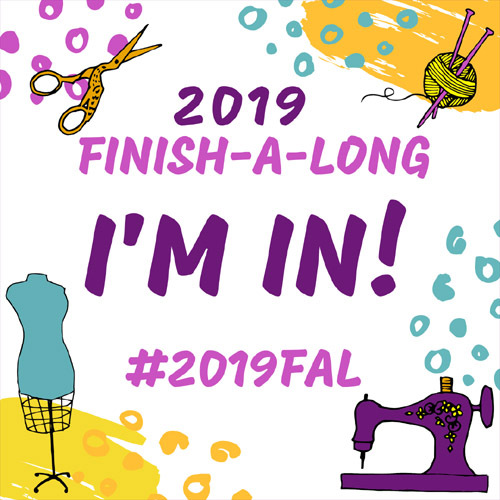 Well this is pretty exciting for me – to be one of the HOSTs of the FAL instead of one of the participants. The first time I ever joined up a to-do list with the FAL was in January 2014. Leanne @She Can Quilt patiently walked me through the steps of how to link up from a composite photo in Flickr. (Thanks Leanne!) I’ve joined up lots since that first time. I’ve had great success and abject failure finishing the projects on my lists during the past four years but the camaraderie and encouragement are fantastic motivators [in my opinion]; I hope you find it the same. The 2019 Q1 link for your list of proposed finishes is now open below, on my blog and on each of the hosting blogs. You need only link your list once, on ONE host blog, and the link will show up on all the host blogs. If you are using Flickr or Instagram, post a mosaic of your projects and put your list in the description. Don’t forget to include your unique hashtag.